Marc Gasol had 34 points and 14 rebounds, and the Memphis Grizzlies built a 19-point third-quarter lead over Golden State before holding on to beat the defending champion Warriors 111-101 on Saturday night. Stephen Curry led the Warriors with 37 points, and Kevin Durant added 29 and 13 rebounds. But both were ejected with 43.6 seconds left after arguing with officials Curry first after throwing his mouthpiece, and then Durant as he followed Curry's argument. Curry later denied he had tried to hit any officials with his mouthguard. "I didn't throw my mouthpiece at the ref. I got better aim than that. I threw it out of frustration," he told ESPN. Curry may find himself in further trouble: he was ejected after throwing his mouthguard in the 2016 NBA Finals. Klay Thompson finished with 14 points on 5 of 16 shooting, including 2 of 8 from outside the arc. James Ennis III added 13 points, and Tyreke Evans scored 12 as Memphis shot 47% compared to 39% for Golden State. The Warriors shot 12 of 38 from three-point range. The Warriors trailed by 19 late in the third quarter and Curry was saddled with five fouls. 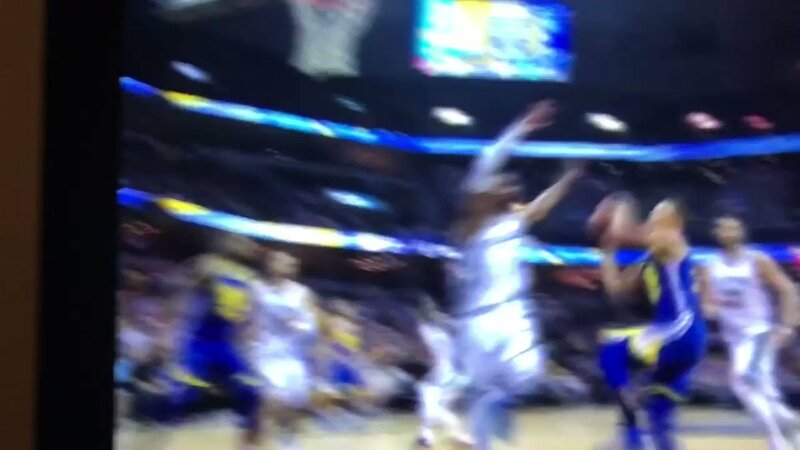 Consecutive three-pointers from Durant and an unintended tip-in by the Grizzlies, credited to David West, cut the deficit to single digits with just under nine minutes left. But Golden State never got close enough to catch the Grizzlies down the stretch. The major burst for Memphis came early in the third quarter. The Grizzlies turned up their defense, forcing a trio of turnovers and scoring 15 straight points to stretch the lead to 18. The Warriors connected on only 6 of 22 shots in the third, while Memphis went 10 of 18.